I recently participated in another Cellar Pass TV Live show. This show was a Wine Country Fashion Show & Wine tasting and though I’m not a huge fashion fan, I could see the ladies were having a great time. With winter around the corner we have to start exchanging our summer clothes for the fall winter wardrobe. I cannot believe how fast the summer came and went. None of us in Minnesota are looking forward to winter. We can only hope its short! November 10th we received a foot of snow where I live. The snow is a month early this year. I hope there is no repeat like the winter of 2013/2014. 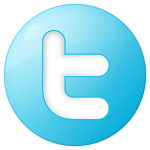 Medium color depth and a purple hue. Very aromatic even without swirling my glass. The Cabernet Sauvignon was young and fruity with aromas of blueberry, bing cherry, cocoa, and spice. It was dry, full-bodied with balanced acidity. The tannins were medium but soft with velvety mid-palate flavors and a long soft finish. This 2011 bottling is 100% Cabernet Sauvignon fruit selected from a spectrum of vineyards — from St Helena to Howell Mountain to our Sacrashe estate in Rutherford. Our 2011 HALL “Kathryn Hall” Cabernet Sauvignon is a pure and nuanced wine to enjoy now and over the next 15+ years. 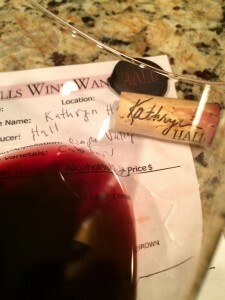 I rated the 2011 HALL “Kathryn Hall” Cabernet Sauvignon four glasses. I enjoyed the wine all evening. The Cabernet Sauvignon continued to develop and became even better through the night.